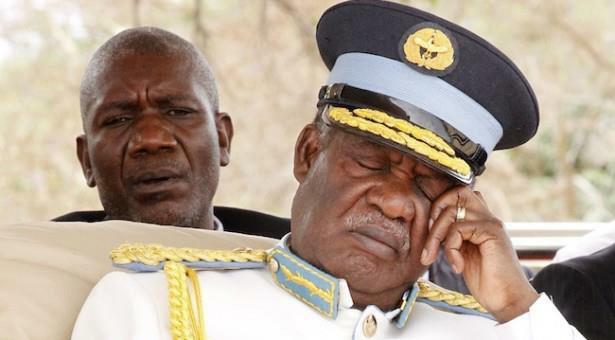 After he was pre-empted and therefore failed to impose his portrait on the rebased Kwacha, dictator Michael Sata has now ordered that his ugly face be mounted on every building and public place. This is the first time since another dictator Kenneth Kaunda left office in shame that the taxpayers will finance a project to put someone’s face all the country. In countries ruled by popular and functioning leaders, citizens do not need to be forced to put portraits of their leaders in their offices but do so willingly. But dictators impose their portraits and statues on the public. According to the order issued by cabinet office on behalf of Sata, the portrait of the dictator must be mounted above 2 metres and must be visible in every building. The mounting of Sata’ s face is mandatory meaning one can be arrested for failing to mount the portrait of the dictator.